Transforming a private residence into an enchanting wedding is the pinnacle of what makes a love story a family affaire. Inspired by the Spring-revived outdoor backdrop, décor details echoed the authentic feeling of nature with a chic twist. Velvet-soft Tristan olive sofas fused with rustic wood accents for an earthy-toned vignette and brightened with Edison lights and Juno chandelier. 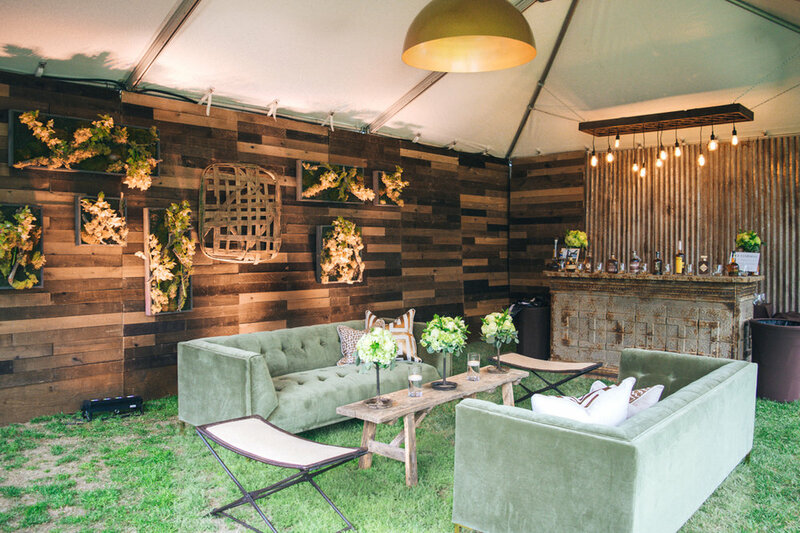 The area hosting the evening's main festivities featured stylish furnishings and textural blends of linen, wicker, wood and metal. Rosy hues glowed against the floral motifs carved in our wood walls that heightened the ambience of the night. A celebration as breathtaking as this would not be complete without champagne! Glasses of the impending bubbly displayed crystal clear on the Art Deco-styled Hugo shelf, ready and waiting to toast the happy couple.